Hey again lacquer lovers. 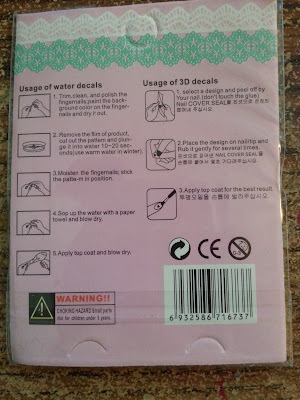 Time for another Born Pretty Store nail art product review! 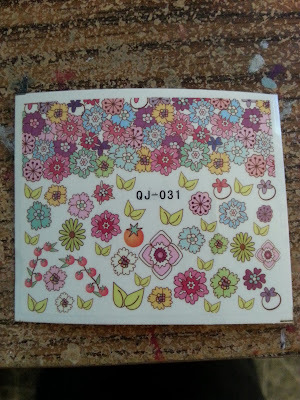 This time I am reviewing a sheet of floral nail art water decals. 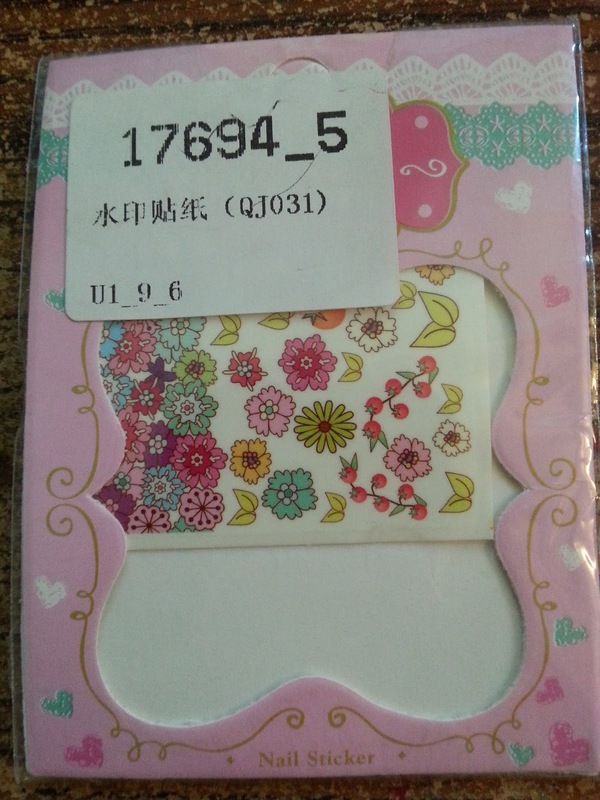 This particular sheet features both a patch of solid pattern for whole nail decoration, and a series of singular water decal designs in a floral motif. Above I have a photo of the product as it arrived to me through the post. 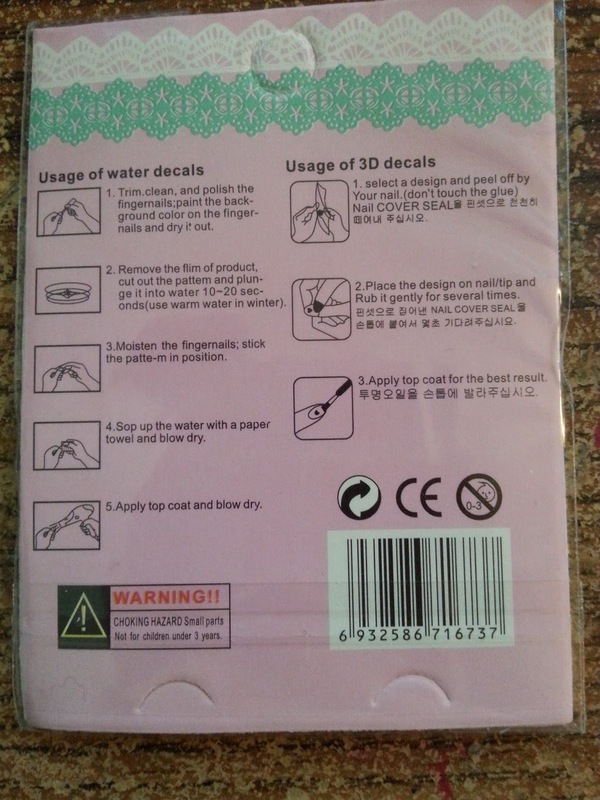 As per usual with water decals there are some simple instructions on the back side of the package. Tada! 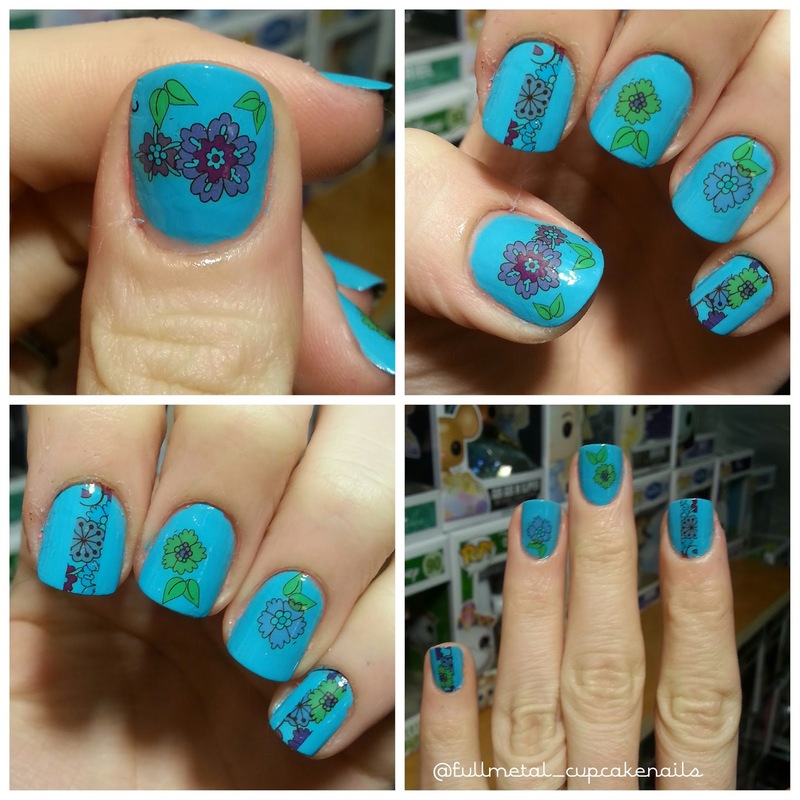 Here is the nail art that I created using these floral water decals. As you can see they are a little more translucent than they look in the package. 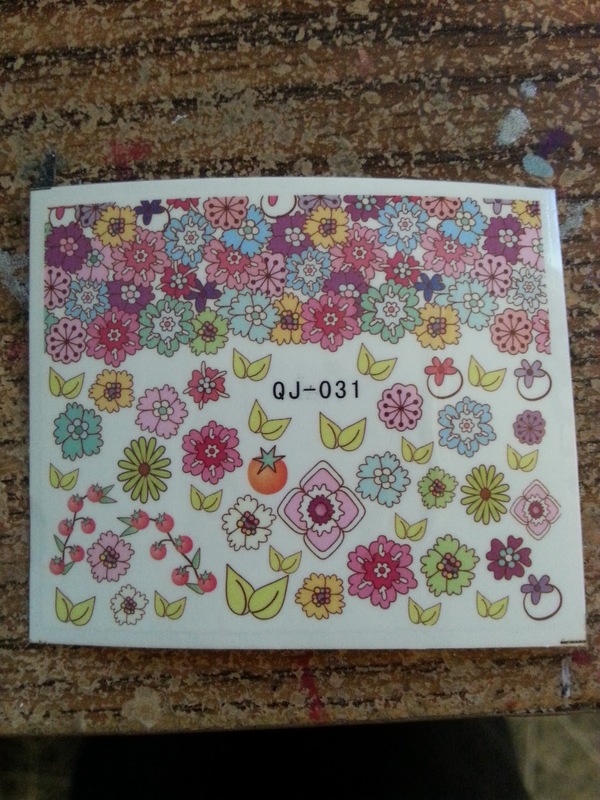 In hindsight I would have used a white background to make them pop more but they still look pretty adorable in my opinion and not a bad deal at $0.99 per sheet. 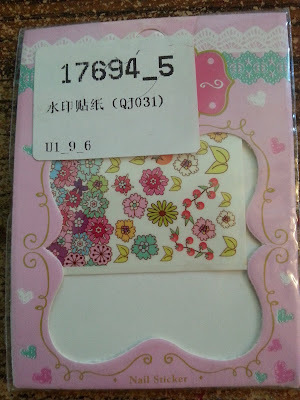 If you would like to get some of these for your own nail art purposes don't forget to check out Born Pretty Store. 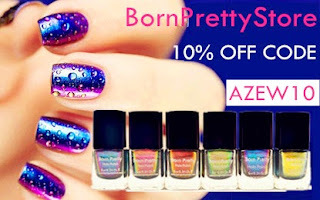 Remember that if you do purchase from Born Pretty Store you can use my discount code AZEW10 for 10% off your order. As always thanks so much for stopping by today guys, I hope you enjoyed the nail art and the product review! See you next time!